As we all know, acrylic POP displays play a significant role in advertising a product. Irrespective of the concept being presented, marketers should try to make the product reaches among the targeted customers. 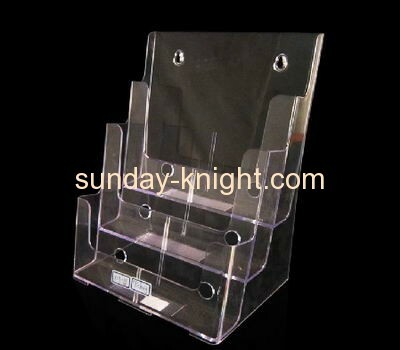 It means that it has been presented in one successful way if people are attracted by your acrylic POP display. You can see the results when the sales of your products increase. However, you need to continue to market your products through these acrylic POP displays in an innovative way. Acrylic POP display are so important, But how to chose suitable acrylic POP displays? Obviously , what determine the success of your products is the concept and the way that it is presented on acrylic POP displays, and then the size and shape of your acrylic POP displays. The biggest challenge with these acrylic POP displays is that the whole concept needs to be expressed in few words without missing the point. However, the benefits of using acrylic POP Displays are equally rewarding. You need to choose the right channel even before the display has been fabricated. It should be noted that it takes just a few seconds to understand about the concept presented by these acrylic POP displays, the efforts put in will greatly increase your sales volume. Thus, companies should take care of every minute aspect besides the choice of colors, arrangement of words and expression of their meaning.